The latest trailer for Avengers: Endgame has dropped, teasing how Captain Marvel joins Earth’s Mightiest Heroes! The moment could easily follow the end-credits scene we saw in Captain Marvel, in which Nick Fury's (Samuel L. Jackson) intergalactic beeper turns off moments before Carol appears in the Avengers' headquarters demanding to know where Fury is. As for the trailer, Larson's appearance is hardly the only nugget of information to consider. The clip starts out with Tony Stark (Robert Downey Jr.) once again recording a message for his ladylove, Pepper Potts (Gwyneth Paltrow). As he discusses the inception of Iron Man and how it led to his romance with his assistant-turned-CEO, viewers are treated to a brief retrospective of the character who began the Marvel Cinematic Universe. One distinctive feature of the new trailer is the black-and-white scenes tinged with red, featured in the Iron Man montage, followed by a look back at Captain America's (Chris Evans) early days as a scrawny wannabe soldier circa 1942 and then Thor bonding with the now-deceased Odin (Anthony Hopkins) in Asgard, which was destroyed by Surtur in the final moments of Thor: Ragnarok. Could the filmmakers be hinting at the departure of one of these iconic characters? After all, fans know that Endgame will officially be Evans' last outing as the all-American hero. "I keep telling everybody they should move on," Cap says in the clip. "Some do. But not us." The trailer also shows Hawkeye (Jeremy Renner) looking more and more like the mowhawked Ronin, a possible new iteration of his character, plus new footage of Nebula (Karen Gillan), hinting that she and Iron Man are somehow rescued -- perhaps by Rescue, Pepper's own superhero persona? -- after Infinity War left them adrift in space following the dusting. 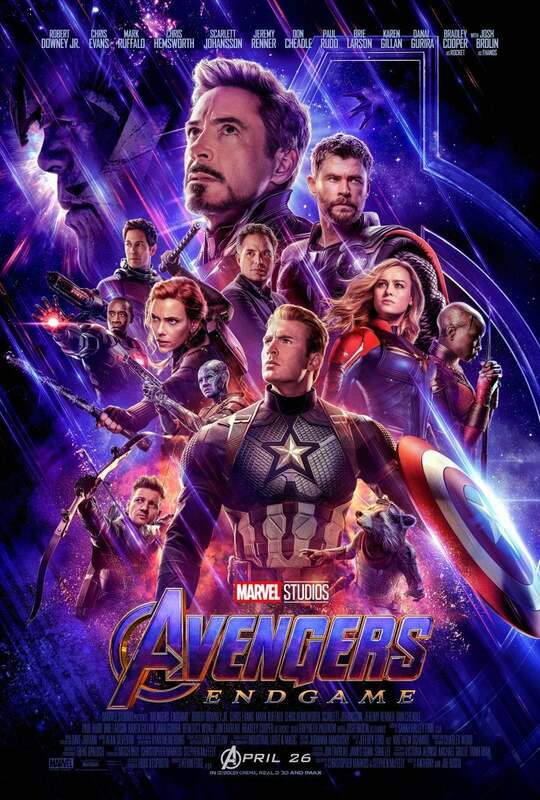 Avengers: Endgame rolls into theaters on April 26. Brie Larson Surprises Fans at 'Captain Marvel' Screening -- Watch!